See it all at one low price with this Big Apple package that's perfect for first-time visitors. After arriving at any of New York City's three major airports, you'll hop aboard a comfortable shuttle bus and travel to your Midtown hotel. Enjoy two days of hassle-free sight-seeing aboard a classic double-decker hop-on hop-off tour, including Downtown, Uptown, Brooklyn and Bronx loops, plus the epic New York City Night Tour. 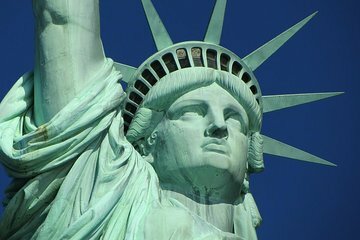 This discounted package even includes a hop-on hop-off cruise on the New York Harbor, where travelers can see where the glittering skyline meets the open water, plus a guided tour of the Statue of Liberty and Staten Island, as well as the 9/11 Memorial. This incredible package even includes return airport transport to ensure you take off with ease after a memorable time in the city.